Welcome! My name is Jim Leff and here you can get more information on me and my art. This site includes my portfolio and the services that I offer. As a freelance artist I am always looking for new people with whom to share my art. 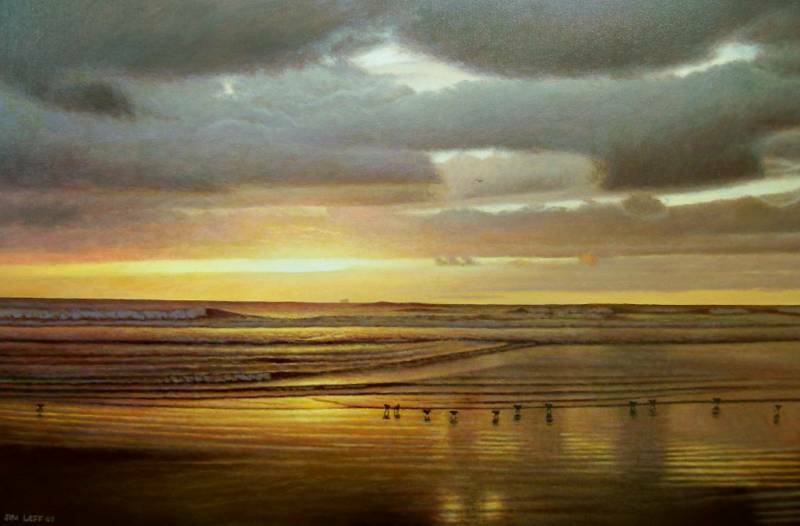 As a photo-realistic painter, I work uniquely in oils, and enjoy painting a variety of subjects, including Landscapes, Seascapes, Skyscapes, Still Life, and Portraits. I spend a lot of time preparing my palette before beginning a painting and I strive to capture the many textures and nuances that I see in the world around me, as well as a feeling that there is a real quality of "light" in my work. No detail is spared. Thanks for checking out my site, and I hope you enjoy your visit.